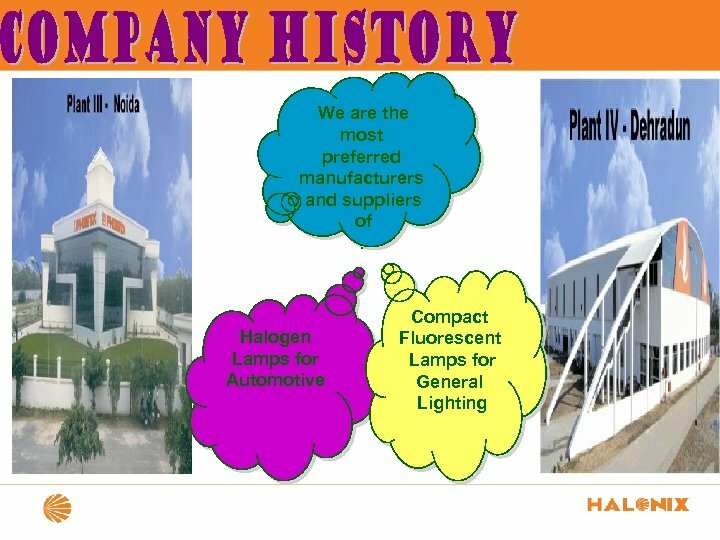 Halonix Limited (formerly known as Phoenix Lamps Limited), promoted in the year 1991 as an Indo Japanese Joint Venture, is counted amongst the most preferred manufacturers and suppliers of Compact Fluorescent Lamps for General Lighting and Halogen Lamps for Automotive. 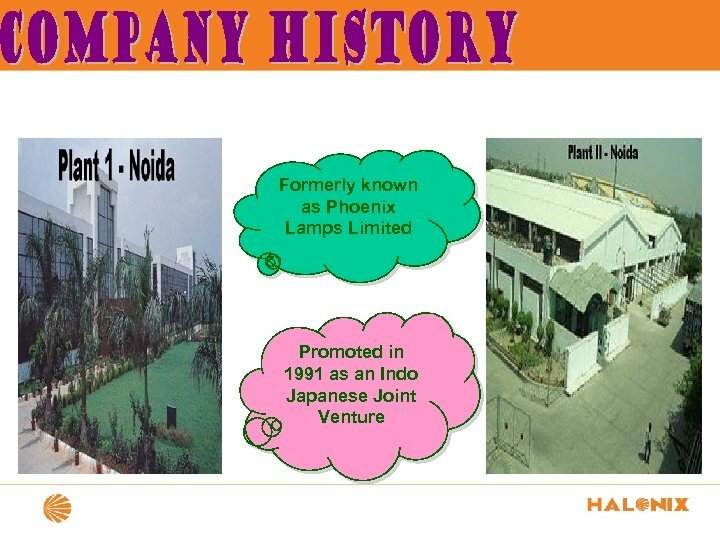 The company had change in ownership in the year 2007 and was taken over by ACTIS, a major Private Equity after which, there has been a reorganization in the management structure that has resulted in increased business activity across the globe. 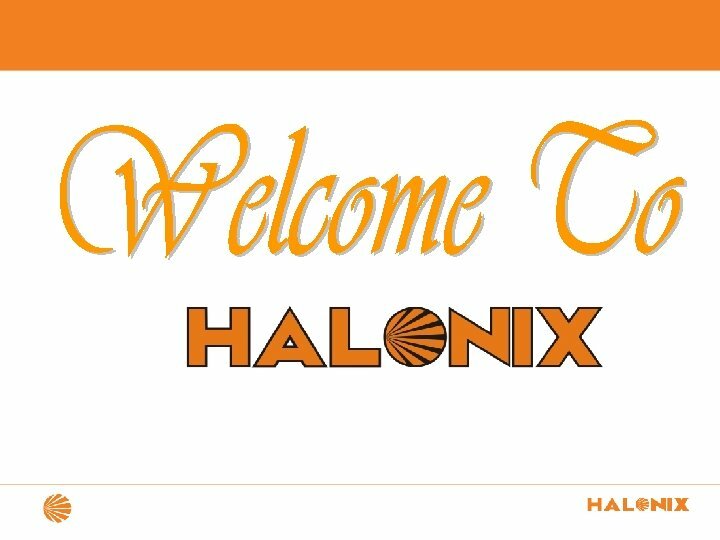 Presence • Diversified presence in General lighting along with substantial earnings from exports de-risks Halonix’ business. 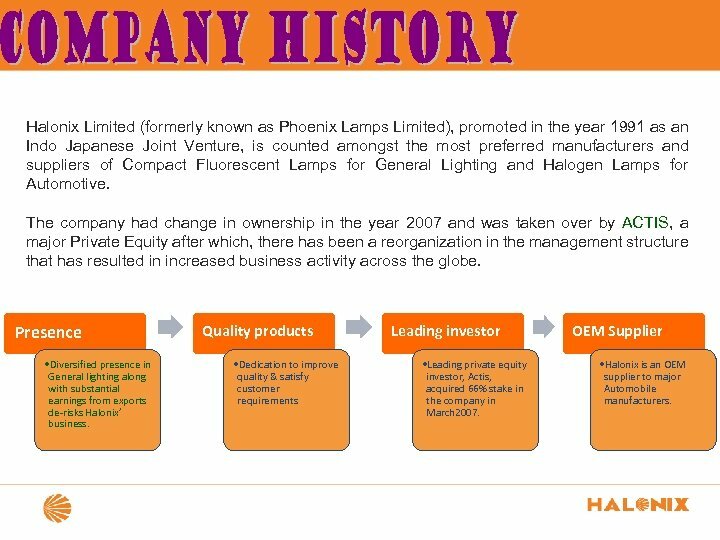 Quality products • Dedication to improve quality & satisfy customer requirements Leading investor • Leading private equity investor, Actis, acquired 66% stake in the company in March 2007. 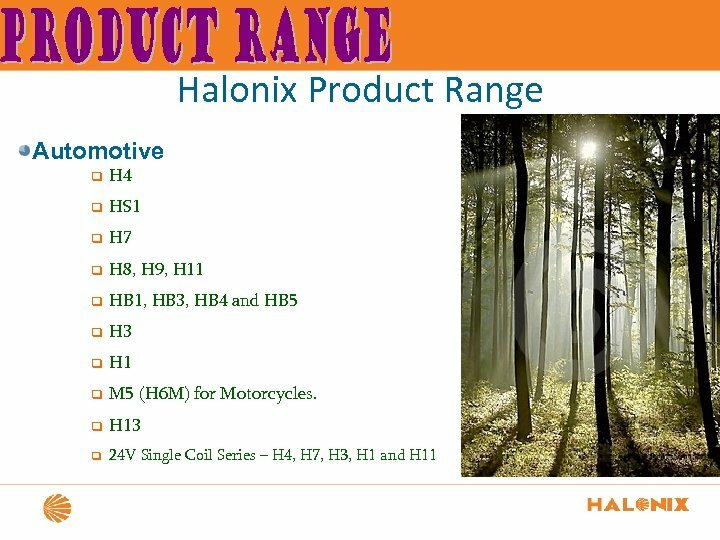 OEM Supplier • Halonix is an OEM supplier to major Automobile manufacturers. 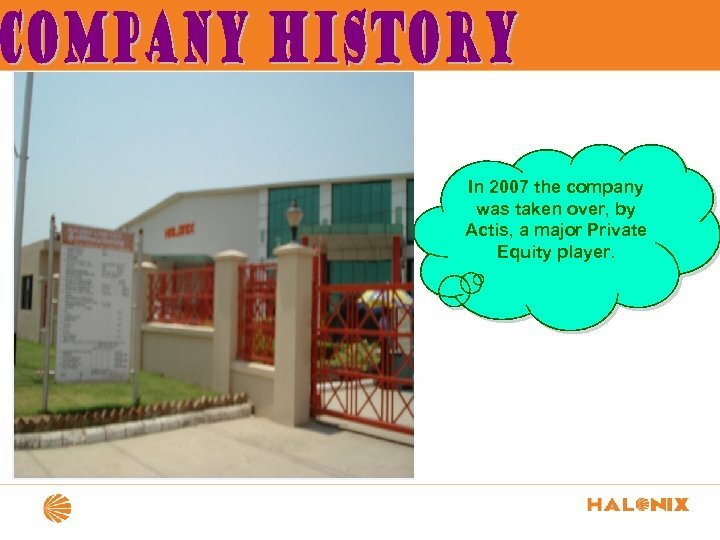 In 2007 the company was taken over, by Actis, a major Private Equity player. 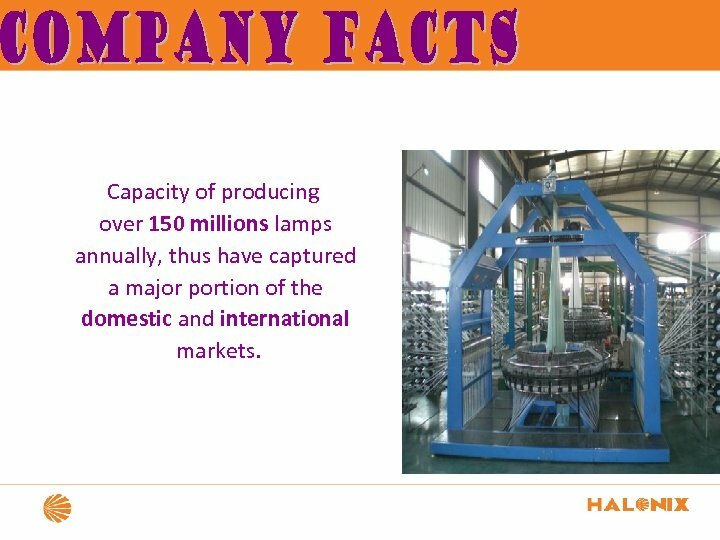 Capacity of producing over 150 millions lamps annually, thus have captured a major portion of the domestic and international markets. 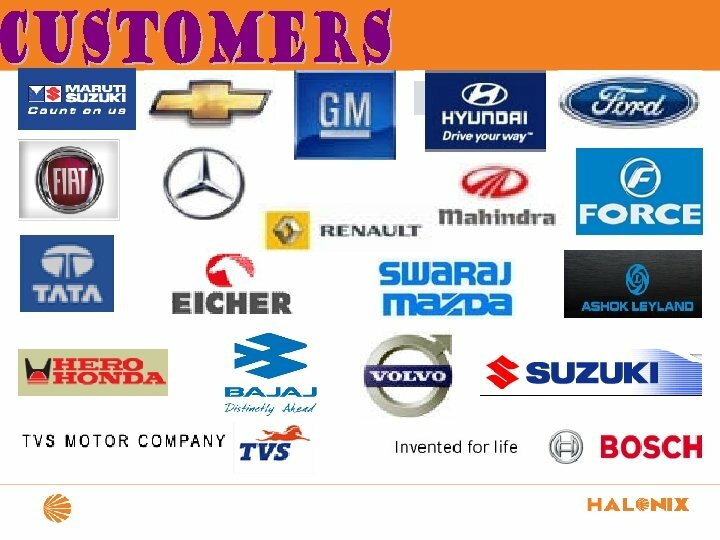 Deliver our products effectively to the diverse markets with the help of our wide distribution network across India, we have created a long list of satisfied clients. 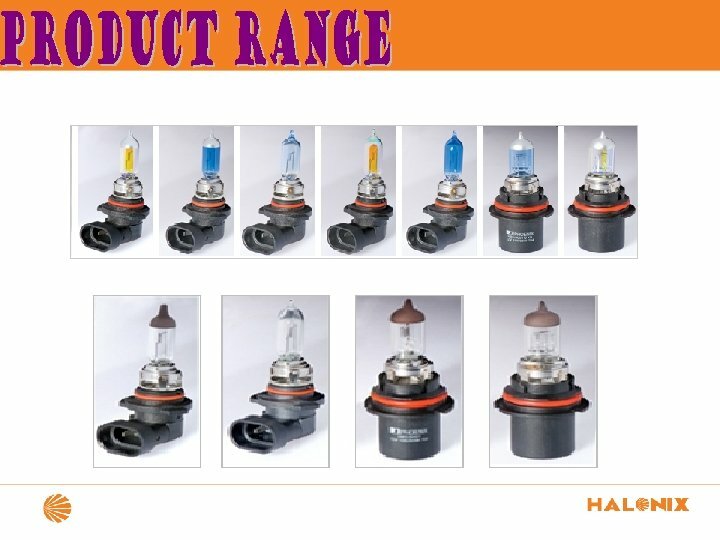 We will be a leading, energyefficient lighting company with sales of Rs. 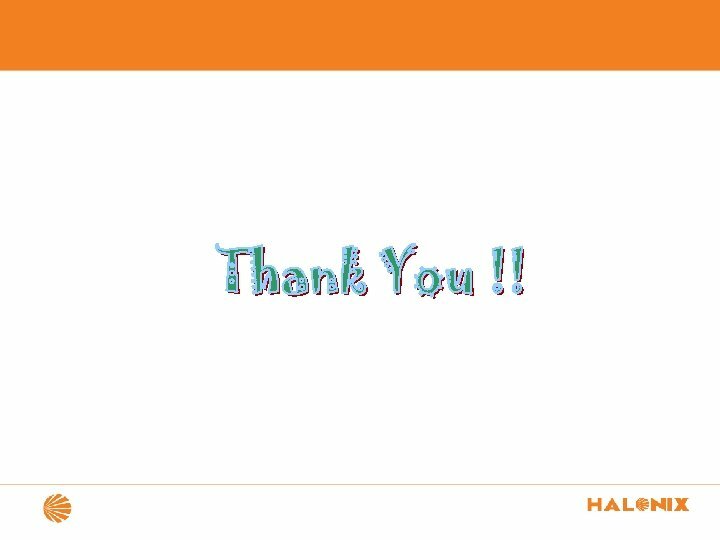 505 Cr. 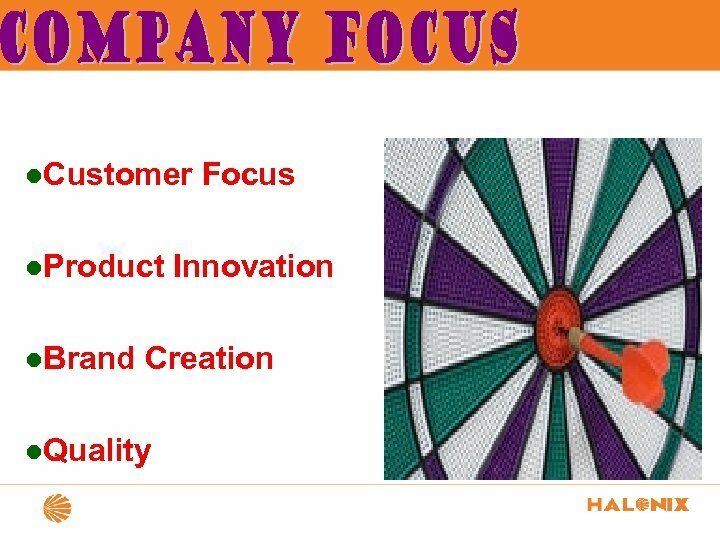 , attaining premium position in Domestic & Institutional segments with customer focus, high quality and excellent service. 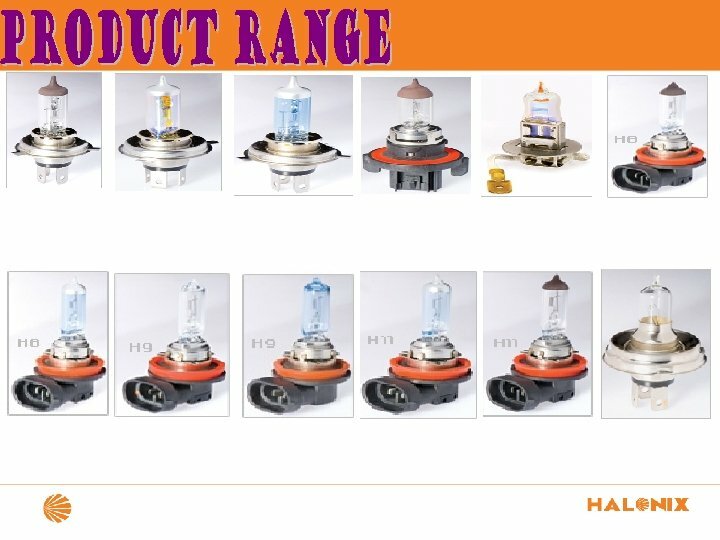 CERTIFIED GLOBAL QUALITY STANDARDS ØTS 16949: 2009(TUV, Germany Certification) (Technical Specification) • TS 16949: 2009 – Automotives Sector ØISO 9001: 2008(Standardization of International Organization) • ISO 9001: 2008 – Quality Management System ØISO 14001: 2004 (Standardization of International Organization) ØBIS (Bureau of Indian Standard) ØCE Certification ØOHSAS 18001: 2007 (Occupational Health and Safety Assessment Series) ØROHS Certification (Restriction of Hazardous Substances). 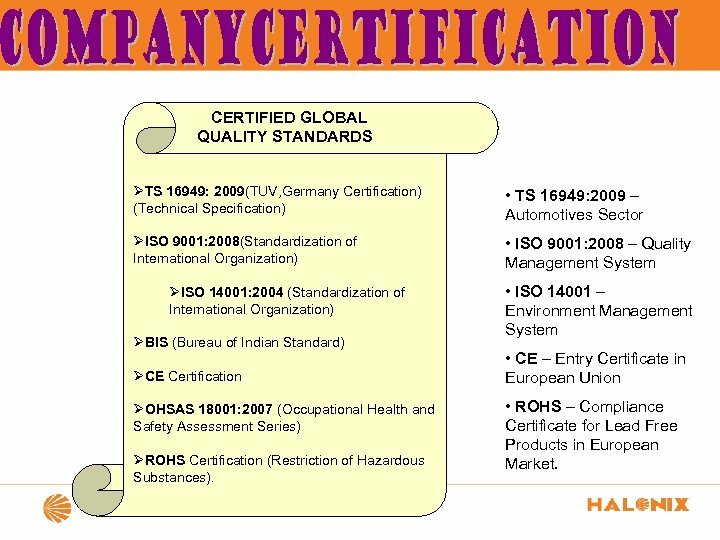 • ISO 14001 – Environment Management System • CE – Entry Certificate in European Union • ROHS – Compliance Certificate for Lead Free Products in European Market. Ø 90% market share in OEM 2 -wheelers. 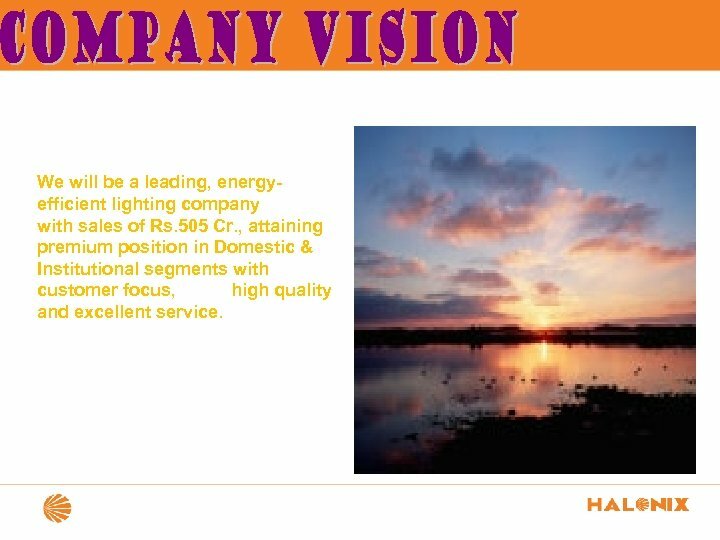 Ø 60% share in 4 -wheelers. 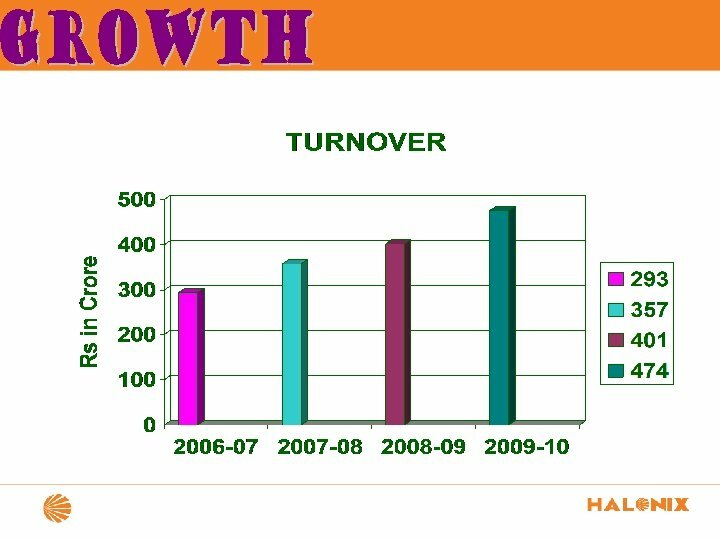 • Induction/Orientation Training • Technical Trainings: - Six Sigma/Green Black Belt trainings, 7 Q. C. Tools, SPC, SQC, FMEA, DOE, MSA etc. 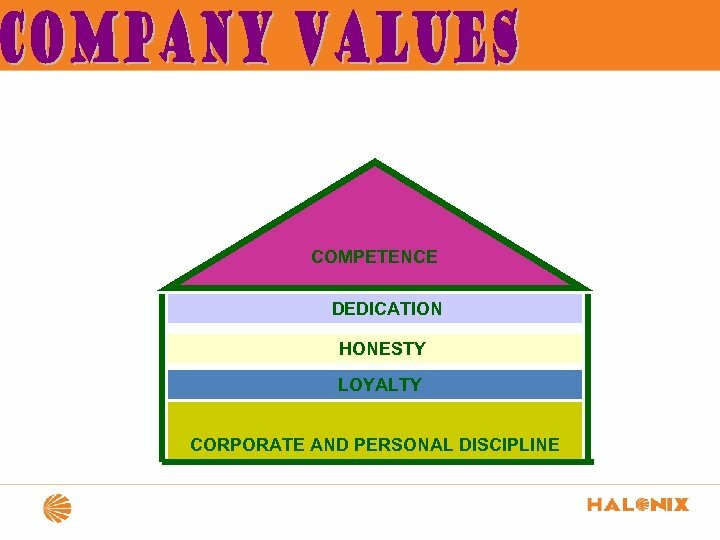 • System Training: - ISO 9001/QS 9000, TS 16949/ ISO 14001: 2004/ OHSAS 18001: 2007 Awareness • General Training: - 5 S Awareness, Fire Fighting/Fire Extinguisher training, Safety Training, SHE Policy, Team Building, Managerial Skills, Problem solving skills etc. 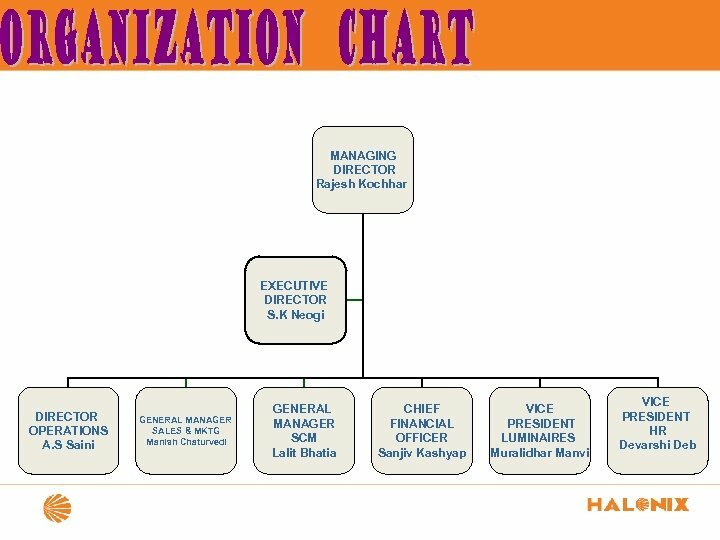 • Apart from that we also send our employees to BITS Pilani (Rajasthan) for higher education & management reimburses the whole course fees subject to clear all the semesters. 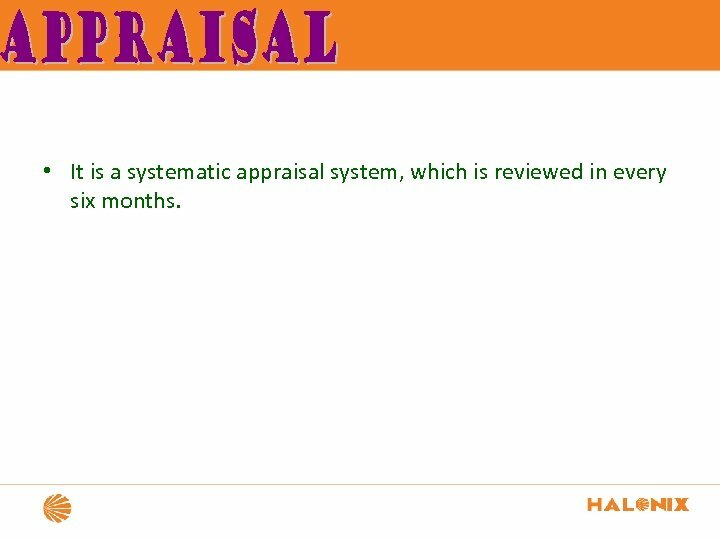 • It is a systematic appraisal system, which is reviewed in every six months.